This is my photo record of the rebuild project. I am hoping to visit regularly to take photos of progress. if you get a blank screen or error message, try a different browser. I've been busy lately with other things but have called a couple of times, taken a few snaps, but only got round to uploading today, so these are really from last week! 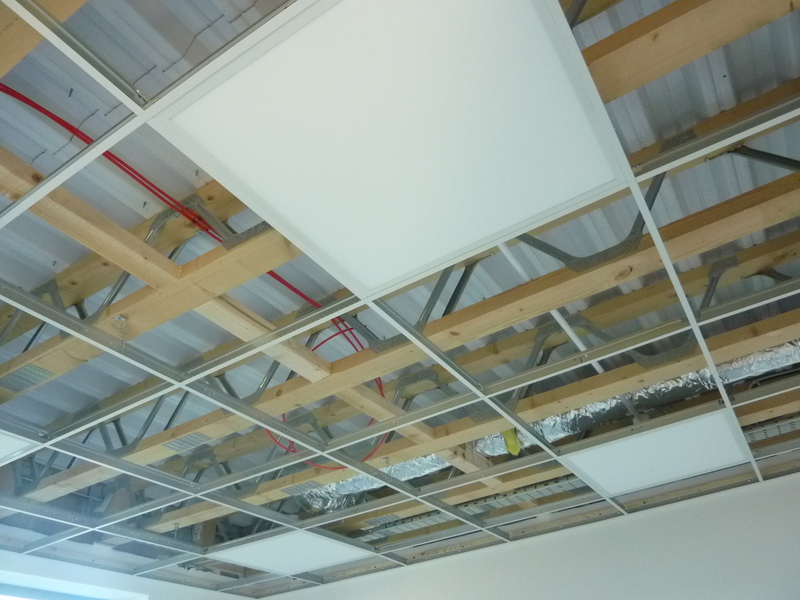 Slow progress, the meeting rooms, office and toilets are approaching completion with walls plastered and painted, ceilings being installed, and some light fittings in place. We still await resolution of the leaky roof! 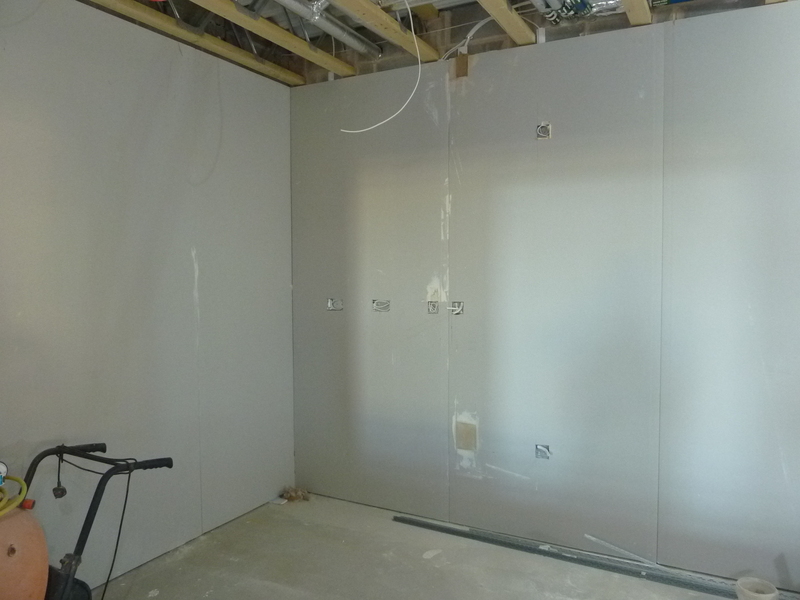 Plasterboard on walls, awaiting skimming. 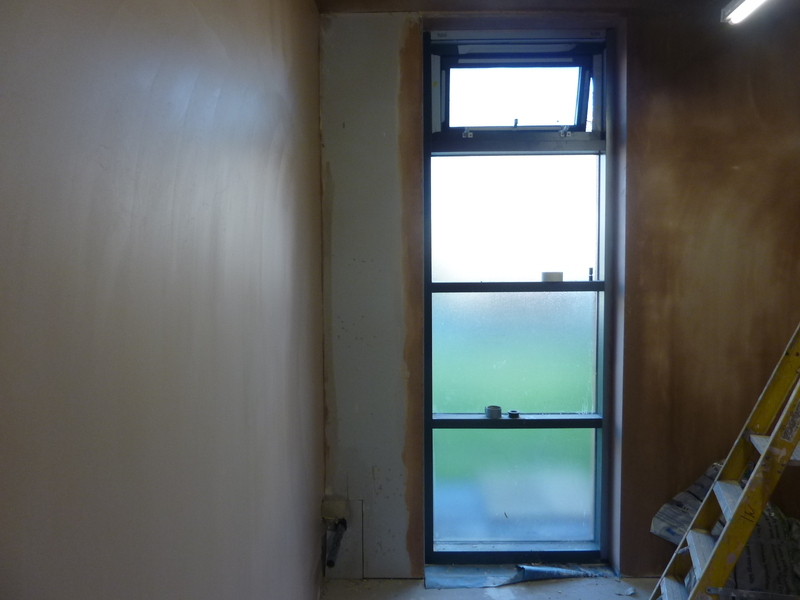 Freshly skimmed wall in toilet. 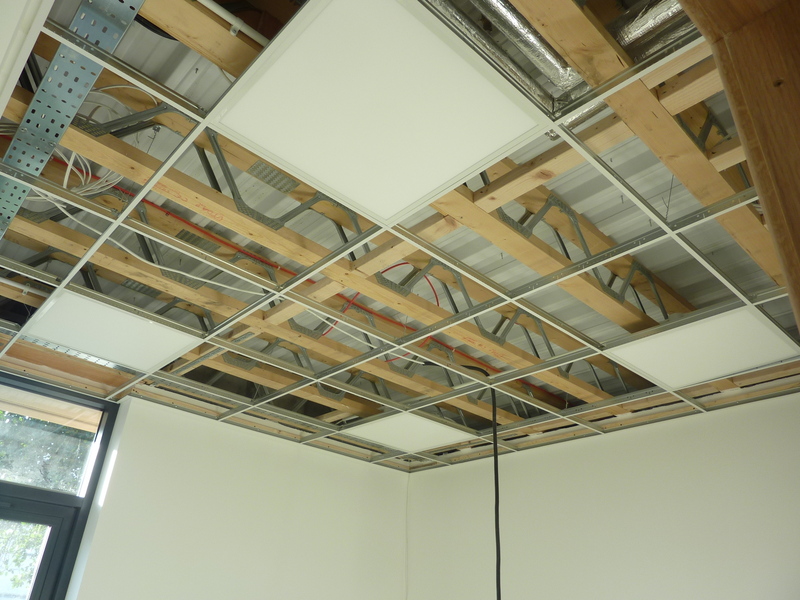 Meeting room ceiling, frame in place. LED lighting panels look nice. 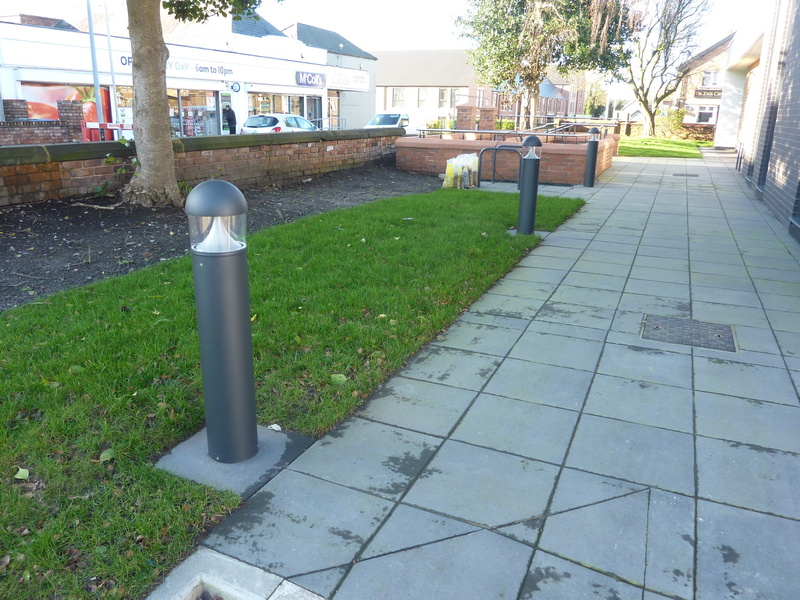 Car park lighting in place and operational. 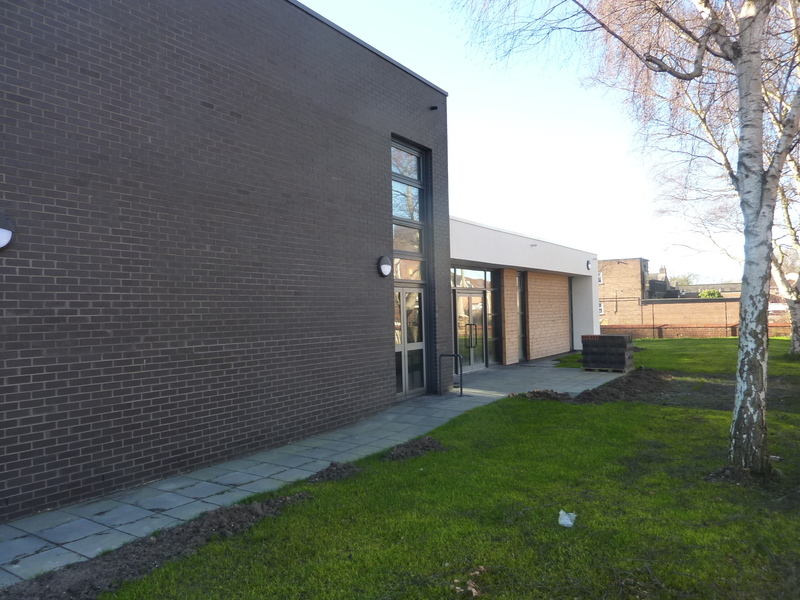 Rear of building, grass, not weeds! The building fund is growing, but slowly. We have received promised grants, but still need quite a bit more to fund completion. We have do have enough money to make a start on the fitting out process, but it will only cover part of the job. 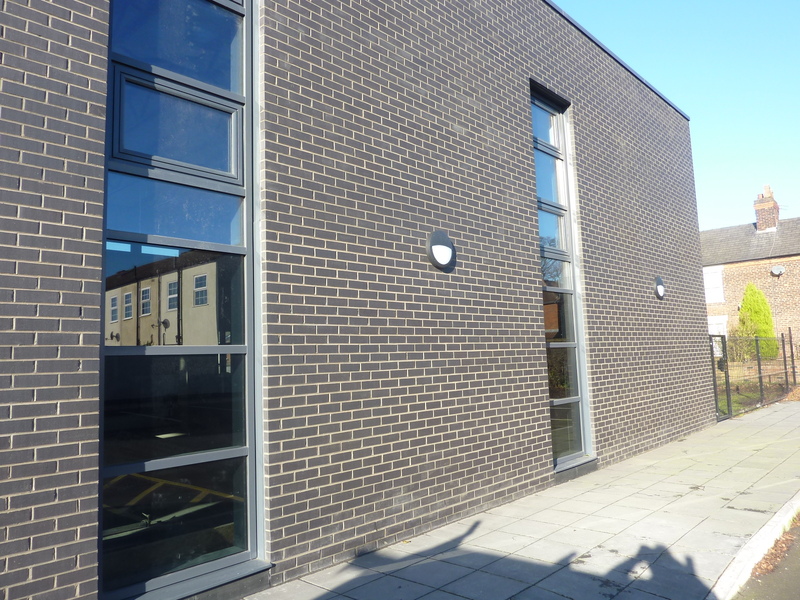 The sooner we have the money the sooner we will be able to complete the building and start making use of it. If you would like to make a donation towards this, then please click this link. Thank you! We have recently received a number of donations which are much appreciated. If one was from you, then we are deeply grateful. Thank you very much!